On a recent episode of Last Week Tonight with John Oliver, Oliver had a lengthy segment ahead of this Sunday’s WrestleMania 35 event that has gotten quite the buzz in the professional wrestling world. The host would go on to discuss and point out all the wrongs in said sport… But more specifically with the WWE. One of Oliver’s key points of mention was how there is a grey area for athletes in regards to whether or not they’re employees or independent contractors. Which happens to be a similar case within the UFC. The often vocal former interim UFC welterweight champion Colby Covington shared his take on the segment and didn’t really find it applicable to his sport and organization that he competes for. 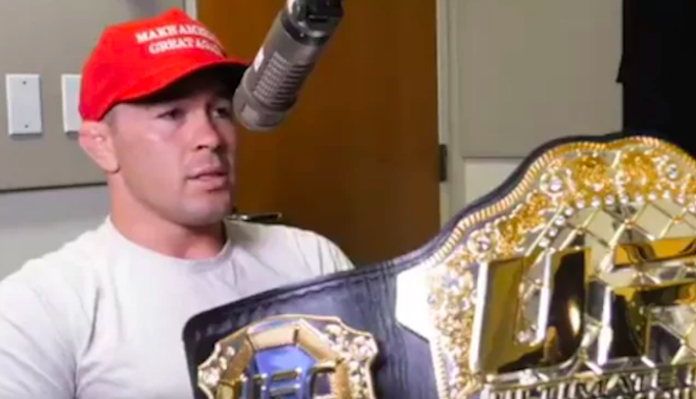 “I did see a little bit of it and I heard little clips of it, but you can’t even compare the two,” Covington said on Submission Radio. “I mean, WWE, they’re not making $10,000 paychecks, those guys are getting paid, man. They’re all making at least $500k plus a year minimum. Most of them are making multi-millions a year, with their t-shirt deals they’re making even more. And I’m pretty sure all those guys get health insurance and retirement benefits. We don’t get none of that sh*t in the UFC, we don’t get no health care unless we’re fighting. As for what may be next for Colby Covington inside the Octagon, it appears he will indeed be next to fight for the title opposite new champion, Kamaru Usman. The challenger says that it looks like the fight could happen in August.